Author of the project, the designer Judson Beaumont , a seat designed so that the form is no different from the usual, classic chairs, but also served as a secluded storage for a variety of things. 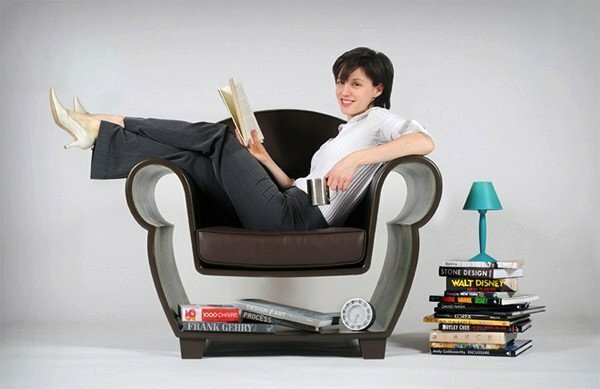 The fact that the “bottom” of this chair is absolutely hollow, and is a sort of shelf that can be completed in its sole discretion. 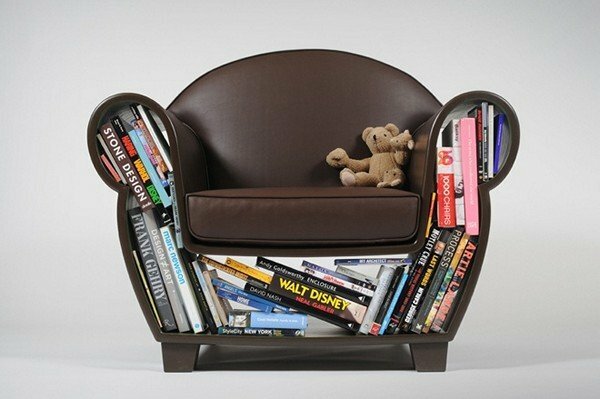 So, at this makeshift shelf can arrange toys or books, crafts, or magazines, store in slippers, chargers and remote controls on household appliances In addition, given that the “store” in the chair does not close the door, the cavity can be filled and decorative objects such as artificial flowers and garlands, well, or left to the pet – they suddenly oblyubuyut yourself this new house to sleep. By the way, here’s the curious thing: usually they say that things are close at hand, while inside the store chairs Hollow Chair they will be formally placed under their feet.